The year is 2048. In a world facing destruction only hearts blazing with passion can save the world! Amidst this chaos, a young girl named Fufuro-chan has yet to find her path. Little does she know that her innocent soul will be the key for a new tomorrow. Full Frontal is a temple devoted to passion. 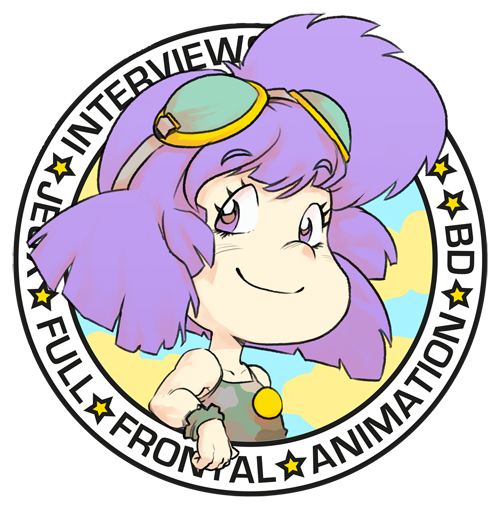 Created by a team of devoted fans we want to share our love for animation, manga and other subcultures and reach people’s hearts. 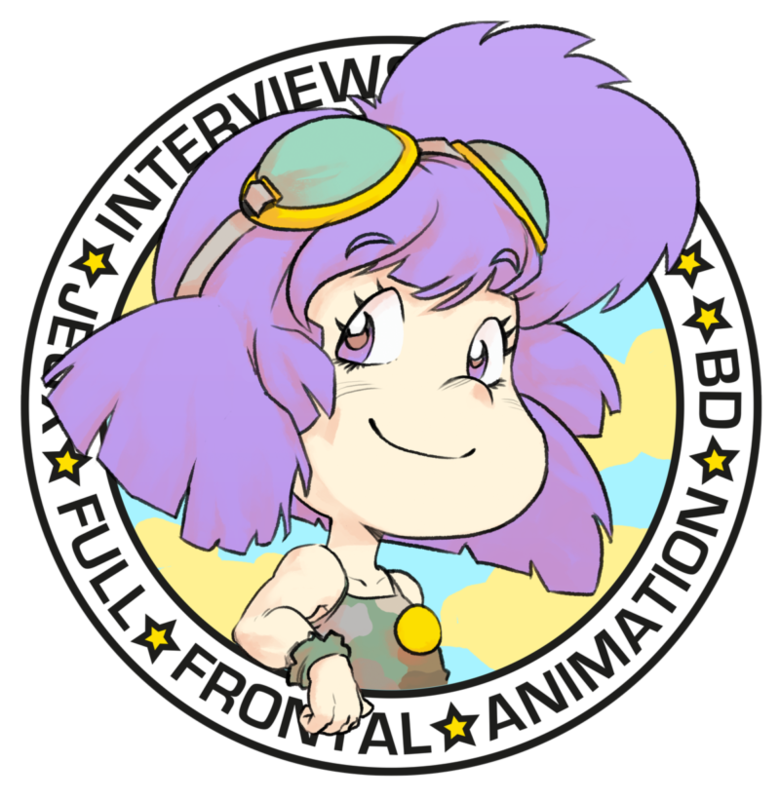 You will be able to find chronics, analysis, interviews, and translations striving to understand the big picture of otaku culture as a social phenomenon. From the bottom of our hearts, we hope that you will enjoy our content. Anime flows through my veins and keeps my blazing heart beating. I have devoted my time to learn about Japanese animation from 1917 to nowadays. Fufuro-chan’s father. Computer engineer and self-taught illustrator, Arnaud is passionate about manga, anime aesthetics and storytelling. He has an unconditional love for hot blooded shonen manga. The 80’s otaku culture is his religion, Otaku no Video his bible. Author of self-published indie manga Ghizha, Tim Fischer is a talented illustrator working with the Strana Corpus collective. He takes heavy influence from artists such as Makoto Kobayashi, Katsuhiro Otomo, and Möbius in his work. A creative mind in a tortured soul. His unique sensitivity in art comes from his third eye. If he was given ears, it is because “Noise Divine” Narasaki exists. Théo is our expert on music and fashion. Nicolas studied animation at LISAA and has been working as a professional for a few years. Through Full Frontal, he wants to share his experience and help people wanting to become animators. Antoine devotes his life to understanding the Otaku culture and its social implications. One could say he has become an Otaku-otaku. If you meet him in person, you could mistake him for Amuro Ray. Compulsive J-RPG player and avid anime watcher. Spent 25 years in the Black Lodge but came back to deliver you the sharpest analysis.